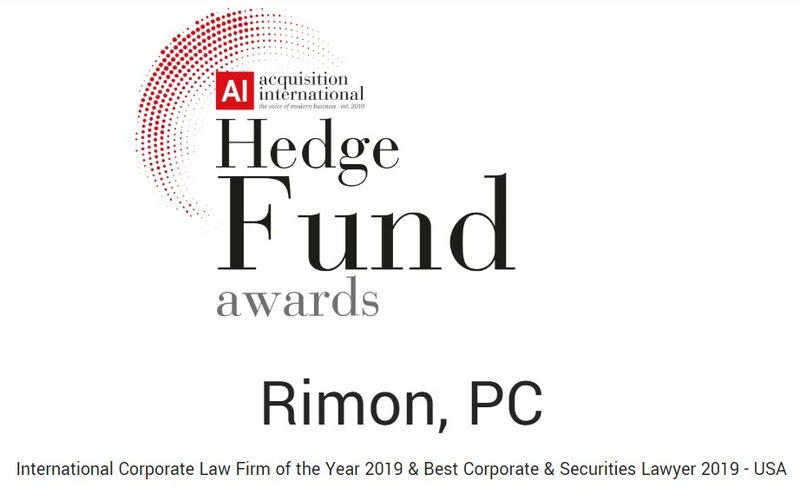 Rimon was named International Corporate Law Firm of the Year 2019 by Acquisition International*. Rimon recently won three major awards in the ACQ5 Global Awards 2018: Innovative Law Firm of The Year, Technology Law Firm of The Year, and International Transactions Law Firm of The Year. Rimon also was cited by LawFuel as one of the best law firms to advise on the legal structures of cryptocurrencies and the regulatory environment around them. Additionally, Rimon has been named to US News and World Report's Best Law Firms, Best Lawyers, Super Lawyers, the Financial Times' Most Innovative Law Firms, and Harvard Business Review among many others for excellence, innovation, and commitment to the community. * AI closely monitors all sectors to ensure that the most deserving ones are given this title. Every single award winner has been determined through a process of in-depth research coupled with its own in-house expert analysis.